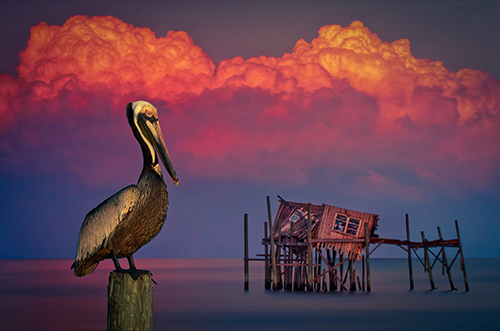 Courtesy Kim Seng. (CC BY-NC-ND 2.0). Many climate prediction simulations lack biological realism, and fail to provide an accurate assessment of the impact of climate change on future biodiversity. 75 percent of climate models lack species-specific information. Missing biological realism renders biodiversity projections suspect. International effort needed to fill in missing information. 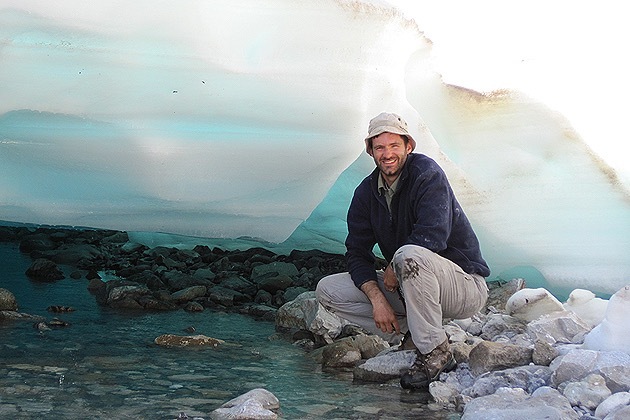 An international group of top biologists led by University of Connecticut ecologist Mark Urban is calling for a coordinated effort to gather important species information that is urgently needed to improve climate prediction models. Current prediction models fail to account for important biological factors like species competition and movement that can have a profound influence on whether a plant or animal survives changes to its environment, the scientists say in the September 9 issue of Science. Missing link. Current climate prediction models assume a uniform species response to climate change, potentially misleading us. UConn scientist Mark Urban is calling for scientists to fill in the missing gaps so that projections can be a truer guide. Courtesy University of Connecticut. While more sophisticated forecasting models exist, much of the detailed species information that is needed to improve predictions is lacking. 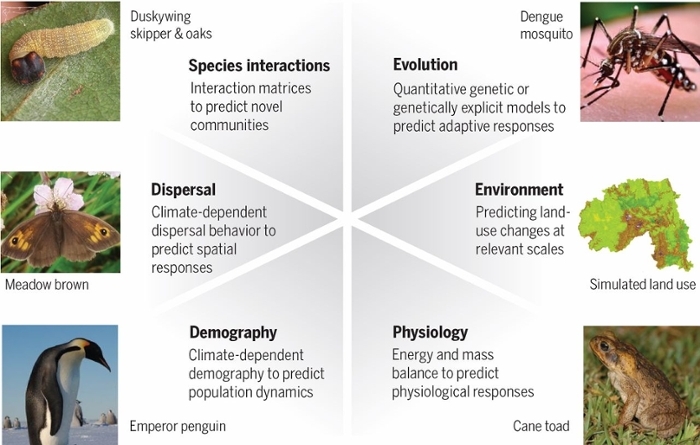 The 22 biologists affiliated with the article identify six key types of biological information: life history, physiology, genetic variation, species interactions, dispersal, and response to environmental changes that will significantly improve prediction outcomes for individual species. Obtaining that information will not only help the scientific community better identify the most at-risk populations and ecosystems, the scientists say, it will also allow for a more targeted distribution of resources as global temperatures continue to rise at a record pace. The biologists are calling for the launch of a global campaign to be spearheaded by the Intergovernmental Science-Policy Platform on Biodiversity and Ecosystem Services (IPBES). The IPBES operates under the auspices of four United Nations entities and is dedicated to providing scientific information to policymakers worldwide. One thousand scientists from all over the world currently contribute to the work of IPBES on a voluntary basis. The scientists are also encouraging conservation strategies to support biodiversity such as maintaining dispersal corridors, and preserving existing natural habitats and genetic diversity. Working groups for this project were supported by the Synthesis Centre of the German Centre for Integrative Biodiversity Research, DIVERSITAS, and the US National Science Foundation (NSF). Read the original UConn article here.